Why is my computer picking up radio stations and sounds? Radio might accidentally show up on your computer several different ways. We'll look at some of the possibilities for accidental computer radio. Somehow my computer seems to be picking up radio sounds. It makes it difficult to hear a message that I want to hear because it is on all the while I am on my computer. It's on even if I delete everything right down to the desk top. Can you tell me what is happening and how I can resolve this problem? There are many, many possibilities which may have caused what you've described. It's unclear if what you're hearing is true radio, some kind of interference, or perhaps something cross-connected in your computer or audio system wiring. Let's look at the most common causes and solutions. My very first reaction is to think that perhaps your computer is not properly grounded. 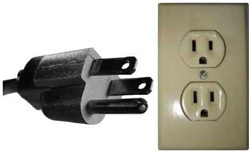 While the two primary connections provide power, that third pin, ground, is often overlooked and not connected - often in older homes built before the additional grounding wire was required. One of the side-effects of not being properly grounded is that electronic devices, such as your computer or various components used with it, can act as radio antennas, and in some cases the result is that you might actually hear a broadcast radio station, though more commonly the effect is simply noise or static. Typically, these sounds are relatively low in volume, but can occasionally become strong enough to be heard and interfere with what you're actually listening to. The solution is simple in concept: make sure you're grounded. Make sure that all power connections in your control include the grounding connection. Make sure that everything except "Master Volume" and "Wave" have Mute checked. "Wave" is your computer's ability to play MP3 and other audio files. (The exact number and contents of columns here will vary depending on your specific audio hardware, but in this example "SW Synth" is the MIDI synthesizer, "CD Audio" is exactly that, audio played directly from an audio CD, "Line In" is whatever is plugged into your computer's Line-In jack, and "PC Speaker" is a synthesized replacement for your computer speaker's beep). If the radio you're hearing goes away as soon as you click on one of these "mute" items, then you'll know where the problem lies. And then you can troubleshoot that path, or turn on the other devices that you might need or want. 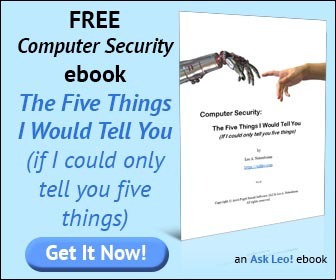 Conversely, if the problem remains, but goes away if you mute "Master Volume", you've clearly identified that the problem is somehow likely related to the audio your computer is attempting to play. Make sure you don't have some audio player actually playing music in the background - perhaps even a web page that has audio could be enough to end up being very confusing in situations like this. The last thing that comes to mind is whatever speakers or audio system you have connected to your computer. Fortunately, diagnosis here is extremely simple: disconnect it at the computer and try something else. For example, if you have speakers connected to your computer, unplug them, and connect a pair of headphones in their place, or another pair of speakers. Once again, if the problem goes away when you use different equipment, the problem is likely with the equipment. There is one caveat here: if your problem is, as mentioned above, a lack of proper grounding, then changing the configuration of the components in your system can often impact or mask the problem without actually identifying it. Make sure your system is properly grounded to start. Why don't I have an on-screen volume indicator? Audio CDs - what format should I use to burn my Audio CDs? Audio CDs are different from data CDs. Typically your burning software needs to know how to create audio CDs, and you need to explicitly tell it to do so. On an orthogonal tangent, one night while working as the overnight DJ at an AM radio station (when they used to play music) I received a phone call from a very unhappy woman. She complained that I was somehow sending music into her head. She determined it must be me, because she heard the same music when she turned on her radio. It turns out that she had some major dental work done a couple days earlier that somehow was resulting in sympathetic vibration that she could actually hear. She only heard the signal at night, when we had switched to a directional pattern that included a major lobe in the direction of her house. I�m not sure what ever happened with her situation; she stopped calling me after she realized the timing coincided with her dental work � she was ready to go after her dentist. I hear bleeps and chirps a lot of times and that's because of my cell phone being picked up through the stereo speakers. Our office has a dozen computers and they all have the same type/style of speakers (cheap, two-speaker setup that comes with most new computers). If I walk up the center isle, past all the workstations, often I'll hear the chirping sounds as I pass from one computer to the next. Funny thing is, where I used to live was a small community in a remote area and we didn't have any cell reception so I always turned me phone off when I was home. One day, I heard those same chirps and bleeps while sitting at my home PC (which also had cheap speakers). I checked my phone and it was off, so then I used my laptop to scan for new networks and sure enough a wireless network was available that wasn't previously available. I believe that person's wireless broadcast was coming across my speakers with similar chirps and beeps like the cell phone does. Strange. LOL, Dave b's comment is hilarious! Unfortunately, it's not for the woman that called, but nevertheless, a very unique and funny story. Thanks for sharing! Now, on the opposite side of things, early home computers were very bad at shielding their own RF signals. There were even programs available for the TRS-80 Models I and III which let you "play" sounds on your AM radio with the leaked RF signals. A point to note that all these radio broadcasts are done at a frequency that is well beyond the audio range. The audible signal is mounted on a higher frequency carrier wave. There is something else going on that is decoding or separating the signal from the carrier. Something like a high pass filter. Leo is making a point to locate the trouble making part so that something can be done about replacing it. Resonant frequency! When an analog piece of equipment like an antenna matches the resonance frequency of an analog carrier wave, you will receive the radio station. That's exactly what your radio does actually. There is a piece of metal that you fine "tune" to a certain resonant frequency. Once a frequency of that same resonant frequency hits it, it receives the signal. Something in your machine is matching the resonant frequency of that radio station. Find it, remove/replace it, and you should be fine! Also, its very possible that slightly moving your hardware, even by a couple feet, can fix the problem. Things like the vibrations from your system fans can affect the overall resonance of some of the equipment in your machine as well. It might be as easy as replacing a fan or lowering its speed to reduce vibration as well. If you have ANY hookup wires arranged in a circle or oval (i.e. a 20 ft. cord when you only need 3 feet), that is probably your "antenna". I am constantly hearing faint music. Most of the music is probably on my computer in MIDI format. One song will play over and over again. Then it will change to another. Do I need to remove all music stored on my computer? I've never experienced anything like this. It's getting on my nerves. Has someone linked to music on my computer to use on their website? I'm at a loss to understand what is happening, and what to do about it. I seem to have the opposite problem. I can't listen to my AM receiver when the computer is on. All I get is noise until I shut down or hibernate the computer. They sit next to each other and are plugged into the same power strip. I tried to look for ground loops but I didn't really know what I was doing. The receiver is old enough to still have a two wire power cord so that is probably the culprit. 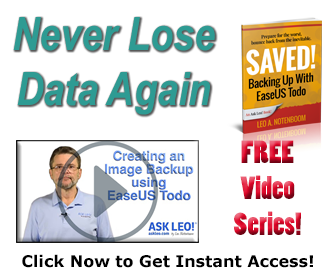 I have repaired similar problems on many computers by a thorough virus sweep with multiple programs. (AVG, Norton AND Spybot) One of them will find it. Apparently some sort of feed from a website usually hawking an upcoming movie or sometimes just music. I had the same problem of hearing this radio station periodically coming in over my computer speakers and for months I tried to identify the cause to no avail. As I am in a rural area I felt certain that it was not a local radio station because I didn't recognize any of the content. I run my anti-virus and spyware scans at least once a week and they had never made a difference. One day I decided to try a program that I had down loaded previously and had never used called Malwarebytes, and after running it 3 or 4 times with some infections each time until it came up clean. This ended the problem and I've never heard it again. Many thanks to Malwarebytes (www.malwarebytes.org). Hope this helps. it could also be that the speakers are also able to be used as a radio, i know that my school has them and we turn them on to annoy the teachers. many years ago i had a strange signal problem on my computer. i was playing a video game, after half an hour or so, the game's sound was replaced by a sound of a little boy talking my language. i heard no other person speaking. it continued for about 1 minute. both me and my sister heard it. but after that i never had such experience. strange thing about it was that there was no little boys living in my neighbours house, only one little girl. also because of my curiosity i loved to hear such signals again, unfortunetly it never happened again. do anyone know what caused my computer speaker to suddenly give out signals of somebody speaking who doesn't even live in my neighbourhood? Thank you, Alan! I experienced the same trouble a few days ago and my Google search led me to this site and your post. I downloaded Malwarebytes, ran a scan and detected a whole bunch of little critters. After quarantining and deleting, the problem cleared up and now I am good to go! Thank you, thank you lots! Whew! Recently, my computer has been playing these strange sounds; sometimes music, sometimes talk shows. I ran a scan through my computer, and found some nasty viruses. I deleted and wiped them all, so now I'm all good. Thanks for your help! Although not common, but providing the computer is well grounded, and a virus or other infection has been ruled out, sometimes a microphone input cable can act as a receiving antenna. The simple cure is to obtain a ferrite filter and depending on type, either run the mic cable through it or wrap around it as close as possible to the mic plug/socket. These ferrites could also work in the case of speaker cables or other input/output cables acting as antenna. Had the same problem, and I solved it. Somehow this radio interference is connected with Internet Explorer, and nothing to do with speakers. 1- Install another browser on your PC, like FIREFOX, you will need it. Windows doesn't allow you to uninstall IE, so that wouldn't be a viable solution. Leo's 2nd option with the volume mixer worked, it showed an unknown source and when muted it stopped. It started after we did an update of Norton, but I will also check for malware to be sure. Also, if someone else is logged on the computer may play their sounds! Not common, but it happens.